Can I use warm milk instead of warm water? 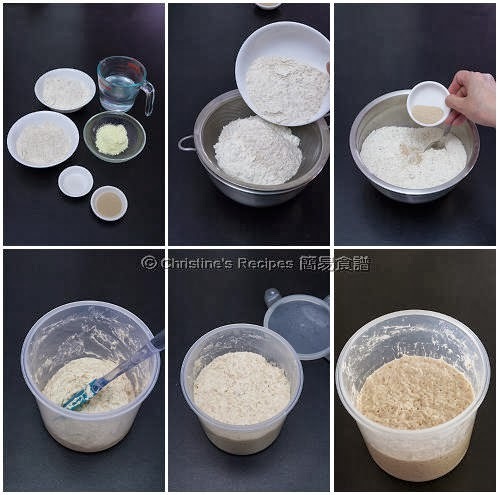 Any way to make this no-knead bread sweet? Sure, you can use warm milk instead. Simply add a bit of sugar to make it sweet. Oh, a side note, if the weather is too hot, make sure the dough is not spoiled when proofing, as milk is added. 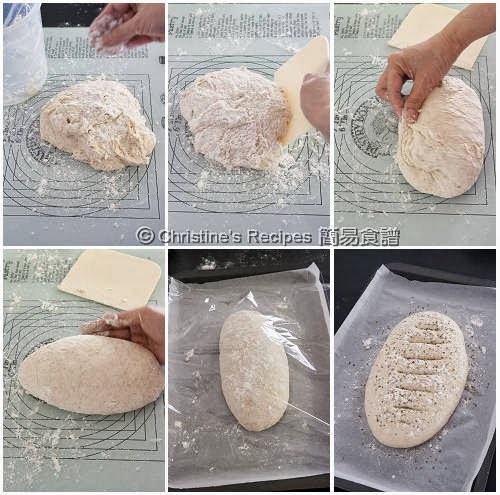 Hi Christine, the bottom of my bread sticked on the parchment paper after I took out from my oven. So next time i have to spray a layer ofthe oil before i put my bread on top of the tray. My oven is overheated so my bread may neeed to bake slightly lesser time. Overall I believe the outcome is quite nice. I m waiting for it to cool down before I can taste it. Thanks for the nice recipes! Try sprinkling some flour on the parchment paper too next time. 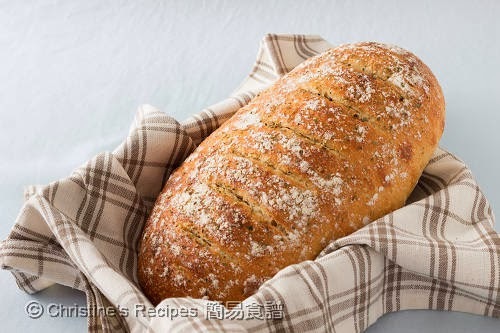 Super easy to make, and the bread turned out pretty good. We love it! Thank you, Christine! Glad that you liked it. My favourite too. I tried this recipe and it is really really great. Very soft inside. Though I didn't put a cup of water at the bottom of the oven, the bread is still very nice. Now I realise that even wholemeal flour can make such a nice bread. Thanks for your sharing!!! 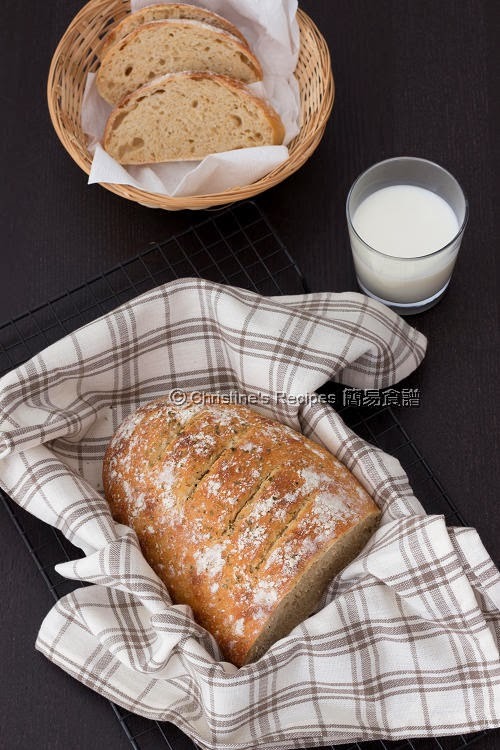 Glad that you tried and liked this bread recipe. 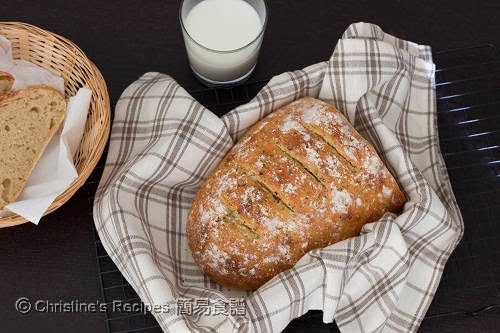 We love this healthy and easy-to-make bread too. Good to know that water bath method is not necessary.